Roof replacement cost is about $4,500 for asphalt shingles, and $7,500 for metal shingles, installed on a 1,500 sq.ft. ranch style home. Today, asphalt shingles are installed on over 90% of all US homes. However, a smart homeowner, who wants the best protection for the home, should consider metal roofing. There are a number of reasons why shingles are used in the vast majority of new roof installs. Mainly, it is their low cost. Additionally, there is a lack of knowledge about the benefits of metal roofs, as well long term disadvantages of asphalt roofing. You can actually install a new metal roof for only 10-20% more than laminated shingles. 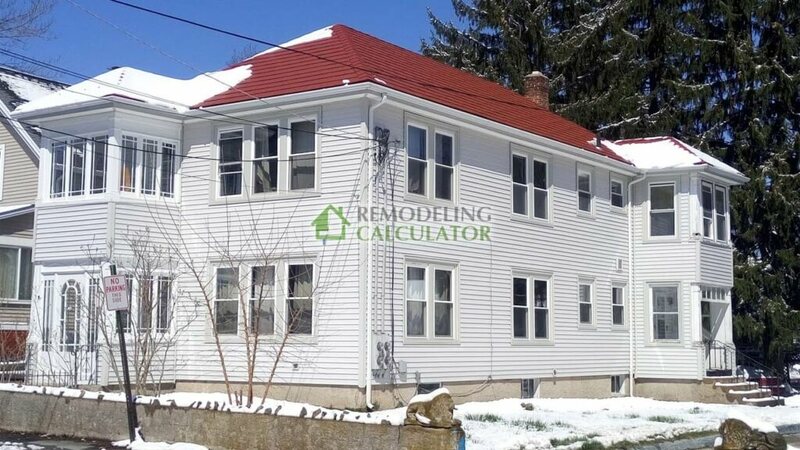 If you use our Roofing Calculator to get price estimates for both asphalt and metal, you will see that architectural metal roofs (standing seam and metal shingles) do cost about 2.5 times more than “30 years” laminated shingles (benchmark product). Here is a chart that compares metal roof cost to architectural and 3 tab shingles shingles. As you can see, you can install a corrugated metal roof (such as a 5-rib R-Panel) for nearly the SAME PRICE as architectural shingles. Best of all, corrugated roofs will last at least twice as long as asphalt, and will reduce your cooling costs significantly. This actually means that owning a metal roof becomes less expensive than shingles, in a very short period of time. If you do a little research by calling roofing suppliers or even go to Home Depot / Lowe’s websites, you will find that metal R-Panels cost only 3-5% more per square foot than architectural shingles. As for labor costs – R-Panels are actually easier and faster to install than shingles, so you will not be spending more money on installation. The only critical aspect for which you need a trained metal roofing contractor, is the flashing around skylights, chimneys and in valleys. I can safely estimate that the average asphalt shingles cost across the US is within $700 to $900 of 5-Rib metal roof prices for same size project. This is equivalent to spending $5580 on shingles vs $6364 on metal. Type of metal: steel roofs are the most economical ($5-8 per square foot), followed by aluminum ($9-14 per square foot. Copper and zinc roofs are the most expensive ($15-20 per square foot). Roof profile: standing seam roofs are most expensive, followed by stone coated metal shingles and tiles. 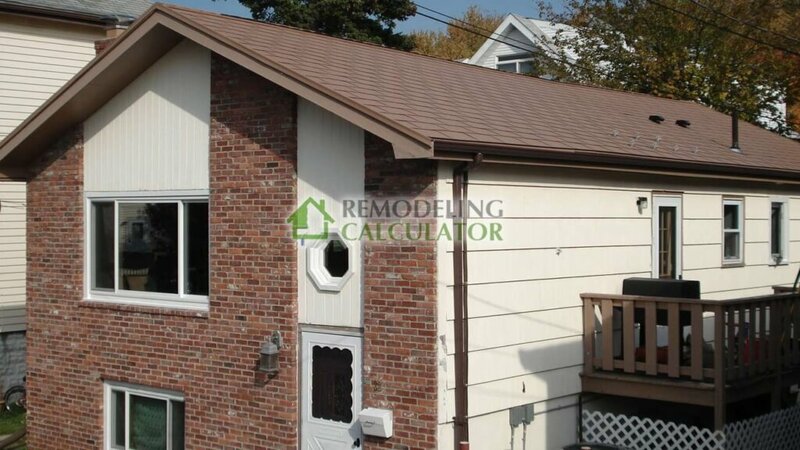 Painted metal shingles are in the middle of the price spectrum, and therefore offer the best value. Corrugated panels are the cheapest option. Metal thickness: thicker gauges of metal cost more because they are a lot more durable. Paint finish: acrylic coatings are the cheapest, but they tend to fade and chip over time. Kynar 500 or Hylar 500 are more expensive, but these are premium coatings that will make your roof look as good as new for many years to come. Roof pitch: if you have a very steep roof, a contractor will charge you 20-30% more because of increased difficulty. Local labor rates: across US, roofers charge very different prices for their work. In high income areas (Boston, DC, San Francisco, New York, etc), your costs can be 15-25% higher, compared to low income neighborhoods. What if you want a better looking metal roof? So what if you do not want an exposed fastener corrugated roof – are there other choices? Indeed, there are many beautiful options! Because the demand for residential metal roofing has been steadily growing over the past decade, manufacturers have come up with a wide range of styles of profiles that can match any architectural home style. People that have modern or transitional homes often prefer the bold look of standing seam panels. They are available in many colors, or as bare metal. Homeowners that don’t like the look or metal can enjoy metal shingles products that masterfully replicate the look of other roofing materials: asphalt shingles, cedar shake, clay or concrete tile, as well as natural slate. Standing Seam will actually be your most expensive option, costing between 150-200% more than asphalt. Metal shingles will run for about double the cost. Despite higher upfront cost, the advantages of having a metal roof over your house far outweigh the extra expense. What people often neglect to include in the “price” are costs of dealing with roof leaks, ice dams and other repairs that begin to occur at around 5 years after installing an asphalt roof. For example, a simple roof repair will cost you at least $300-500. Dealing with ice dams starts at about $500-1500, depending on the extent of damage. These estimates also do not include the cost of interior repairs, which can range from $300-2,000 each time you have a big leak! So within the first 7-10 years, an asphalt roof will cost most people almost as much as a metal roof. On top of this, consider the fact that asphalt shingles only last about 14-18 years (sometimes less), where as a quality metal roof lasts at least 50 years. So in that time span, you will need to spend money on re-roofing with asphalt shingles at least 3 times! Obviously, in the long run, living with an asphalt roof is significantly more expensive. Finally, keep in mind that you will be spending 20-35% more on air conditioning costs with an asphalt roof, because metal simply reflects up to 90% of solar heat, making your AC run a lot less. Lets take a close look at the many issues you will most likely deal with after you install asphalt roofing shingles. By comparison, the majority of these problems are non-existant with a metal roof. If you live in the snow country, and have an asphalt roof, ice dams are most likely the bane of your existence. This is because even the most expensive, longest lasting asphalt shingles are naturally prone to ice dams leaks. So if you are tired of spending hundreds of dollars every winter on these leaks, a metal roof can be a permanent solution. Any metal roof is designed as a snow shedding system. In particular, vertical panels make it simply impossible for ice dams to cause leaks. However, even interlocking metal shingles neutralize ice dams, due to reverse lip upper lock, which prevents water from going UNDER the shingles! I have steel shingles on my roof, and in 7 years, never had leaks, ice dams or rust! Asphalt shingles deteriorate with time. 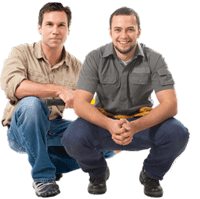 While their average service life is 14-18 years, heat and poor ventilation usually speed up the deterioration process. Now, here is the most important part: Solar panels absorb a lot of solar heat, and typically operate at 170F degrees. This means that the temperature of shingles UNDER solar panels is higher than that of shingles exposed to direct sunlight, because of stale air under the panels! This further reduces the lifespan of asphalt shingles. Consider this: 55% of the cost of a new solar PV system is LABOR and only 45% is materials. Therefore – if you have a 5KW system installed at $4/watt, installation charges are $11,000; while PV panels, racking system, AC/DC inverter and wiring are $9,000. 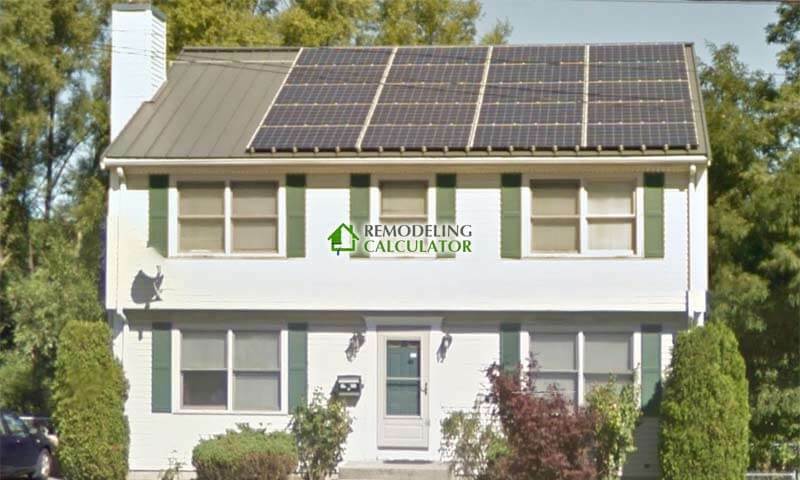 So when your asphalt roof fails prematurely, because of excessive heat from solar panels, you will have to shell out the ENTIRE COST OF A NEW ROOF (no warranty coverage there) as well as pay for REMOVAL and Re-installation of the Solar PV system. By my estimate this will be at least $4000 on top of roof replacement cost. However, you will never have to deal with this problem if you opt for metal roof (standing seam is the preferred option for solar), but metal shingles will also work great! Who should invest in metal roofing? If you plan to move within 5-7 years – you don’t need to drop extra $7-10K on a metal roof. A newly installed asphalt roof (even if its a budget product) will help you sell your home at a good price, because homeowners love the idea of having a new roof. Keep in mind that your location may also be a factor. If you live in areas that get a lot of extreme weather, prospective buyers may really appreciate the fact that your house has a metal roof. While it may not necessarily boost your house value, it will help you sell your house faster and for a price you want. However, If you want to spend a long time in your home, or even retire in it – then metal is definitely the better option. 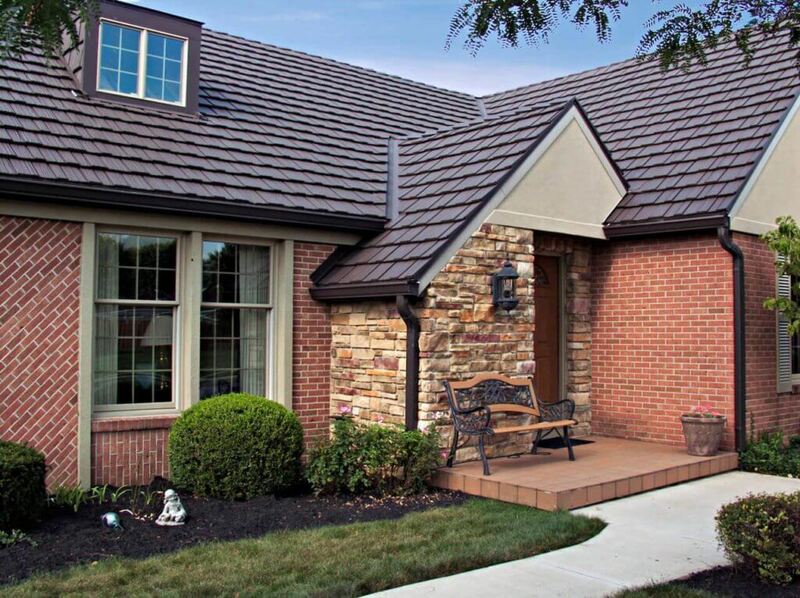 Particularly for elderly individuals, metal roofing may be a necessary long term investment. With age, it becomes exceedingly difficult to deal with roofing problems and to navigate working with roofing contractors, so they good work, instead of just taking your money. Unfortunately, there are too many horror stories of unscrupulous roofers taking advantage of seniors, and especially women. This roof was installed in Revere, MA in 2007 and has since withstood multiple hurricanes and constant exposure to corrosive salty air from the ocean. As you can see – the roof is in great shape – no issues with paint and no leaks! How Much Does New Roof Cost?